Everest Base Camp trek is one of the most popular treks in Nepal. Glorious view of the mountains, picture perfect villages and wonderful people during the trek will make you cherish this trip for rest of your life. Everest Base Camp lies in Sagarmatha National Park, a UNESCO Natural Heritage site. The highest peak in the world- Mt. Everest alongside other mountains: Lhotse, Cho Oyu and Nuptse are visible during this trip. The culture, lifestyle as well as faith of the Sherpa people is also something that you should look forward to witness during your trip. As long as you prepare well for the trek, there is absolutely no reason to think that you can’t complete the trek. Besides, if you are interested in the EBC trek, you can complete it in merely 10 days. On the first day of your trip, you will head out to Lukla from Kathmandu. The flight will take off early in the morning. The altitude of Kathmandu is 1400 meters while that of Lukla is twice that of Kathmandu. The flight is a scenic as you fly over the Himalayas. After landing in Lukla, you will start your trek and reach Phakding. Phakding is slightly lower in altitude than Lukla and has an elevation of 2610 meters. Phakding is a small village in the Khumbu region and lies to the north of Lukla. The trek to Phakding is merely 3-4 hours in total as you will only trek 8 kilometers. You will have your dinner in Phakding, where you are going to stay overnight. The next day, you will set off to Namche Bazaar from Phakding. Namche is located at an altitude of 3438 meters. In total, you will gain an altitude of 828 meters. In terms of the vertical distance, you will walk 11 kilometers. You will spend 5-6 hours trekking this day. The trek will take you through Monjo village which is located just below the entrance of Sagarmatha National Park. From Monjo, you will enter Sagarmatha National Park, trek to Jorsale and finally reach Namche Bazaar, biggest town in the Everest region. Namche Bazaar is a town that buzzes with tourists and has a historic marketplace that has souvenirs shops, delicious yak cheese and butter, Tibetan artifacts as well as trekking equipment. You can also visit a cyber cafe as well as a pub here. You’ll be cvernight at Namche after a dinner in this region. The next day, you will trek from Namche Bazaar to Tengboche, which has an altitude of 3870 meters. The trekking distance is 10 kilometers and you will complete this trek in 5-6 hours. You will gain an altitude of 430 meters this day. As you climb higher during your trek. it is extremely important that you don’t gain a lot of altitude in single day. This ensures that the chances of altitude sickness are minimized. Tengboche is a quaint village in the Khumbu region, Khumjung. Mt. Ama Dablam is visible from this region. Besides, Tengboche Monastery, a Buddhist monastery where a lot of people from various parts of the country come to receive blessing from Lama. 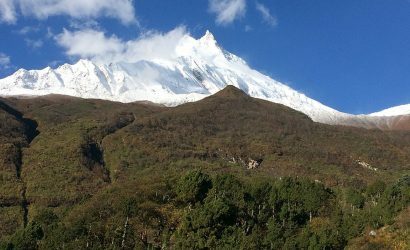 During the spring season, you can see rhododendrons making the surrounding hills in Tengboche beautiful with their presence. You will have an overnight stay at Tengboche after dining in this region. You will leave Tengboche the next day and arrive at Dingboche. Dingboche is located at an altitude of 4360 meters, roughly 14000 ft. In 5-6 hours of trekking, you will cover a distance of 9 kilometers. Dingboche also lies in the Khumbu region, Chukung valley. Chukung valley is surrounded by the slopes of mountains like Lhotse, Nuptse and Ama Dablam on various sides. Imja river flows in the eastern part of Dingboche. You will have your dinner at a lodge Dingboche. You will also spend your night there. Next day, you will go from Dingboche to Lobuche covering a total distance of 7 kilometers. kilometers. This will be one of the shorter trekking days where you trek for only about 4-5 hours. 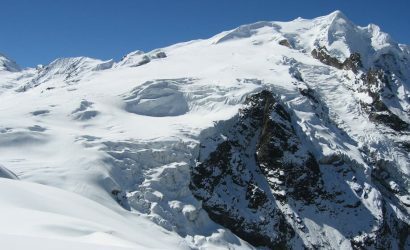 Lobuche has an altitude of 4940 meters. 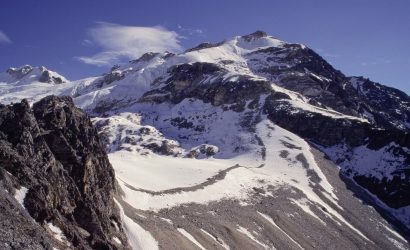 Trekking in this day will give you a glimpse of various mountains such as Nuptse, Cholatse, Thamserku,Khumbutse, Lingtren, Pumori and Mahalangur Himal. This place has a name that is shared by various other peaks in this region such as Lobuche East and Lobuche West. Lobuche lies in the foot of the Khumbu glacier. 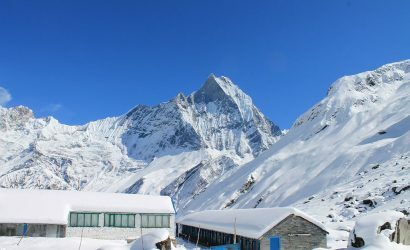 In the previous years, accommodation in Lobuche was primitive but with the betterment of tourism industry in Nepal, modern facilities such as internet and oxygen facilities are provided in some lodges. You will spend your night in Lobuche. This is perhaps the most thrilling day of your trek where you will trek for around 7-8 hours and cover a total of 15 kilometers. In the morning, you will trek from Lobuche to Gorak Shep, where you will have your lunch. Gorak Shep has an altitude of 5160 meters. 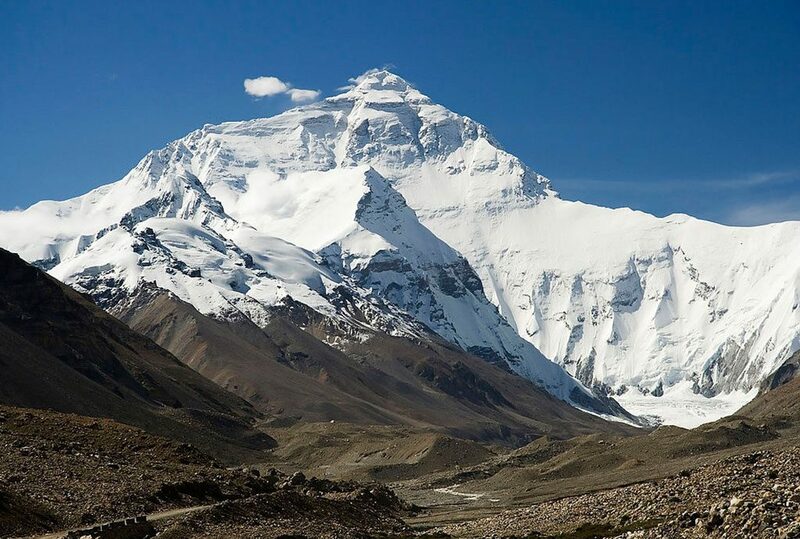 After lunch, you will climb up Khumbu glacier and reach Everest base Camp which has an altitude of 5360 meters. You will spend an hour or so at the Base Camp where you will have all the chance to admire the beauty of the Everest region. You can take stunning photographs here. After spending quality time here, you will trek back to Gorak Shep. You will spend your night in a teahouse/ lodge at Gorak Shep. From Gorak Shep, you will start your trek early in the morning to Kala Pathar, the highest point in your trek. It has an altitude of 5555 meters. You will cover an identical trekking distance this day as the day before i.e. 15 kilometers. The number of trekking hours is also identical. 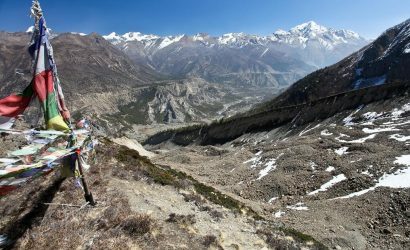 Kala Pathar offers the most accessible views of the Everest. It is also important to go to Kala Pathar because the Everest is not visible from the Base Camp. From many surrounding areas, the views of the summit of the Everest is blocked by Nuptse mountain. After sightseeing in this region, you will descend to Pheriche. This means that the altitude you will lose by getting to Pheriche from Kala Pathar is around 1200 meters. You will spend your night in a guest house in Pheriche. From Pheriche you will descend to Namche Bazaar. Although you will cover a total of 15 kilometers spanning close to 6-7 hours, there will be low chances of you getting tired as you will mostly descend downhill. The hillside that you can see while you descend while coming down to Namche Bazaar will be covered with rhododendrons as well as juniper trees. 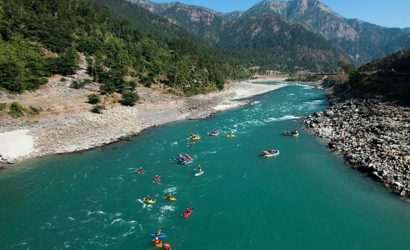 While descending, you will cross a bridge over Dudh Koshi river which leads to Sansa. From Sansa, you will get to view of Ama Dablam, Thamserku, and Nuptse. You will spend your night in a guest house in Namche Bazaar. On this day, you will cover a total distance of 18 kilometers which is the highest in the trek. However, due to the fact that most of the time you will be descending down, you will trek for only 6-7 hours. Your trekking trail this day will take you through various suspension bridges, Buddhist monasteries and quiet villages to Lukla. You’ll have an overnight stay in Lukla. On the tenth and the last day, you will take a flight from Lukla to Kathmandu. In this short flight - 35 minutes, you will reach Kathmandu. From the airport, you will be taken to your respective hotels. An experienced guide with a government license and his food, accommodation, salary, insurance, flight, equipment and medicine. Right trekking gear can make or break your entire journey. So, it is not advisable to compromise on the quality especially when it comes to down jacket, sleeping bags, and hiking boots. Check this Packing list for Everest Region Trek to get more idea.